Im looking for nice David Njoku cards in a BROWNS uniform. 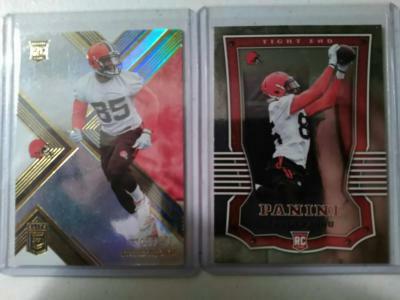 I have these 2 Donruss Elite /499 & Panini foil. 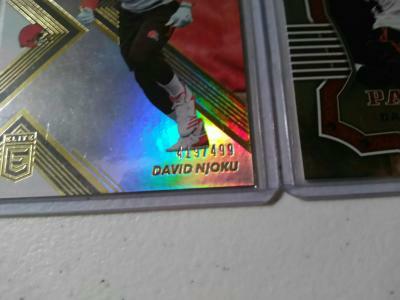 David Njoku 17 Donruss Optic #164 RR. I am looking for Packers RC, Taysom Hill, Christian McCaffery, and or Rewards Points. I just hit his 2017 Prestige Short print rookie (card #295). But, sadly he is in his college (hurricanes) uniform. any interest?